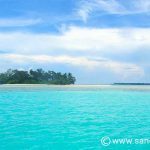 There are several options for getting over to Karimunjawa island from the mainland of Central Java. However, the boats run most frequently from Jepara. More importantly, there is always a boat leaving Jepara port early on the Sunday morning (weather permitting). 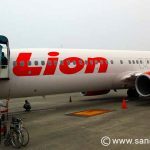 It’s for this reason that we chose to stay for one night at the Hotel Elim in Jepara. 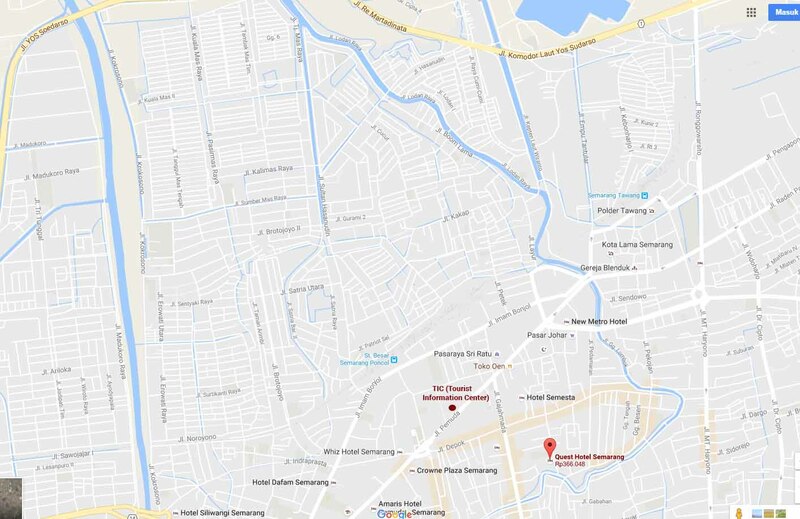 Following an unscheduled detour on arrival in Semarang (see Honey, the ATM ate my card), we took a taxi to the Tourist Information Center on Jalan Permudu in the center of the city. We had a good idea of where we were going since we’d checked it out on Google Earth, and printed out a handy little Semarang map. We arrived at the Tourist Information Center later than planned – it was already getting dark and had started to rain. Behind the building there was a small office where we could purchase our minibus tickets to Jepara. We were still in time to catch the last minibus, leaving at 6pm. We paid IDR 17,000 (€1.25) each for our minibus tickets. 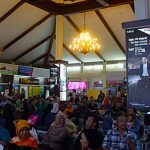 The journey took 2½ hours, although half of this time was spent driving around Semarang to pick up passengers. They even back-tracked to the airport for the final pickup. The minibus could take up to around 6 people, including luggage. When we arrived in Jepara, they very kindly dropped us off directly in front of our hotel. Since we hadn’t paid a lot for our room (€14), we weren’t expecting much from the Elim Hotel. In fact, the room we were given was perfectly adequate: clean and comfortable. We arrived late – around 8:45pm, and there aren’t many eating options close by. Our only choice was the Elim Restaurant right next door. The kitchen closes at 9pm, so we were just in time to place an order. We chose a dinner of soup each with a portion of Nasi Goreng and Sate Ayam to share. Together with 2 fruit sodas, our bill came to IDR 137,500 (€10). Quite expensive by local standards. We ate a similar meal the following day at one of the traditional Indonesian Warungs for just IDR 32,000. Important to note is that the Elim restaurant is not associated with the Hotel Elim: They are separate businesses. The reception staff at Hotel Elim can be a bit hit-and-miss. On arrival, an (older) receptionist spoke good English and was very helpful. The following morning he had been replaced by a young guy with very little English, and much less enthusiasm to help. Location-wise, Hotel Elim is a long way from the port. 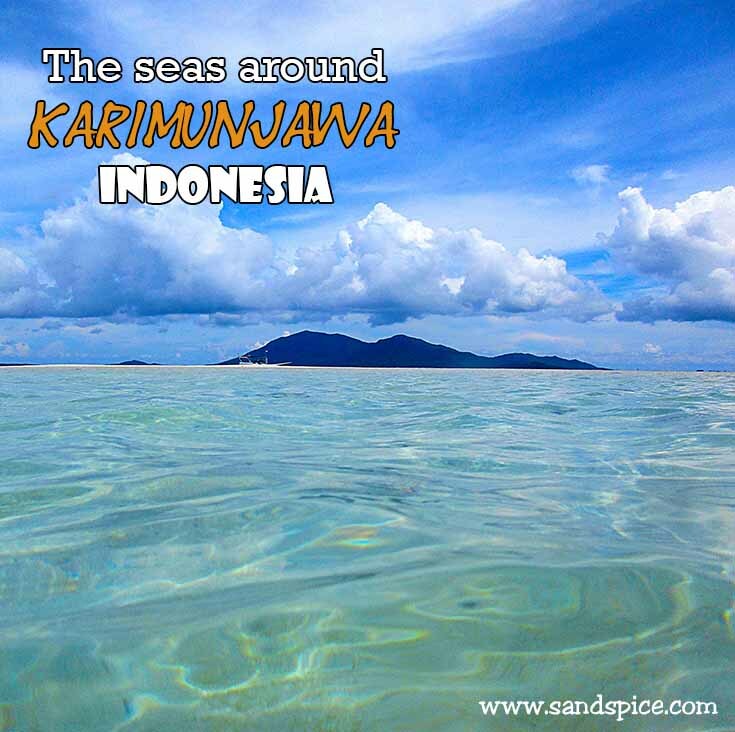 For travellers taking a boat to Karimunjawa, this hotel therefore may not be the best option. 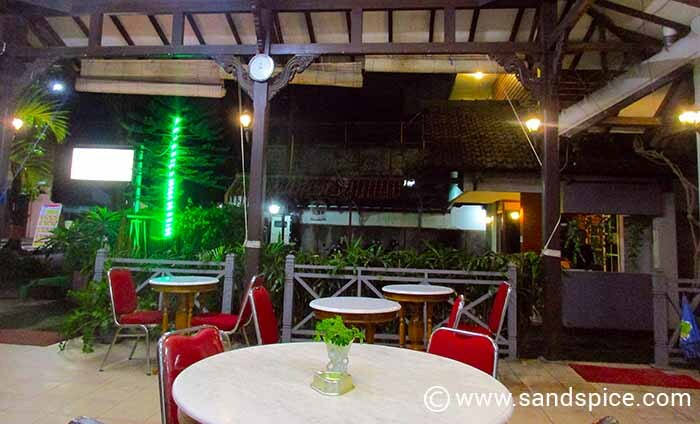 There are other reasonably-priced hotels much closer to the port, such as the Samudra Hotel.